We are manufacturer of all type of Bearing Housings of centrifugal pumps.Bearing housings are available is various MOC like C.I, cast steel, S.S 316, S.S 304, S.S 410, bronze (G.M), bronze , etc.Manufactured from best quality raw materials and latest production techniques, the bearing housings are available in different grades and sizes as per the needs of our esteemed customers. 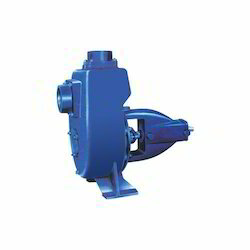 We have successfully been engaged in putting ahead a comprehensive array of Centrifugal Self Priming Pumps. Under the stern guidance of talented professionals, these pumps are manufactured using top-notch quality components as per international quality standards. Finding importance in sewage treatment, irrigation, agriculture and related applications, these pumps use air-water mixture for pumping. Having capability to create desirable pressure differential through centrifugal force, these Centrifugal Self Priming Pumps can be purchased at reasonable prices from us. 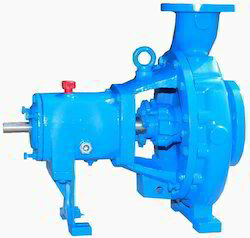 Our company manufactures, supplies and exports a wide range of Chemical Process Pump. 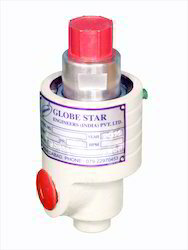 These pumps are very useful in dairy, pharmaceuticals and food processing industries. Our equipment, crafted using high quality raw materials, are acknowledged for their better service life and high tensile strength. Our company is a prominent trader, importer, supplier and service provider of Rotary Joint, which is known for its excellent performance, optimum quality, sturdy constriction and competitive design. The offered joint is available in threaded sleeve or quick release flanged forms. This equipment comes with external seal wear sign for utmost protection and preventive maintenance. Our Rotary Joint is manufactured by using finest raw materials and advanced technology at par with international quality norms. Moreover, this product is outfitted with standard bearings and antimony seals to ensure longer service life. Sleeves are dual-driven by two different keys to give greater resistance to side load & eccentric motion. All wear surfaces are treated for enhanced corrosion resistance. 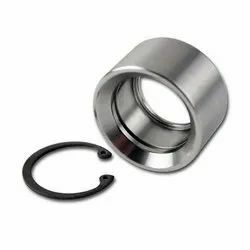 Two widely spaced bearings for stability, greater syphon support and longer wear. External seal wear indicator for superior maintenance. Available in threaded sleeve or quick release flange assembly.